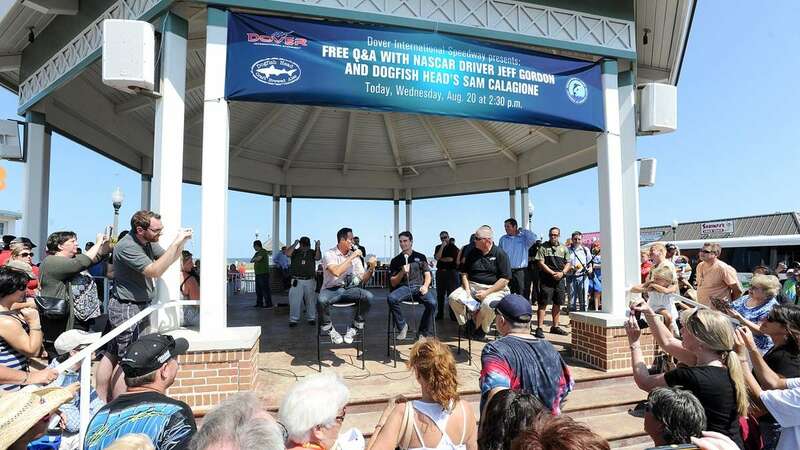 The current NASCAR points leader took questions from fans during a visit to Rehoboth Beach on Wednesday. 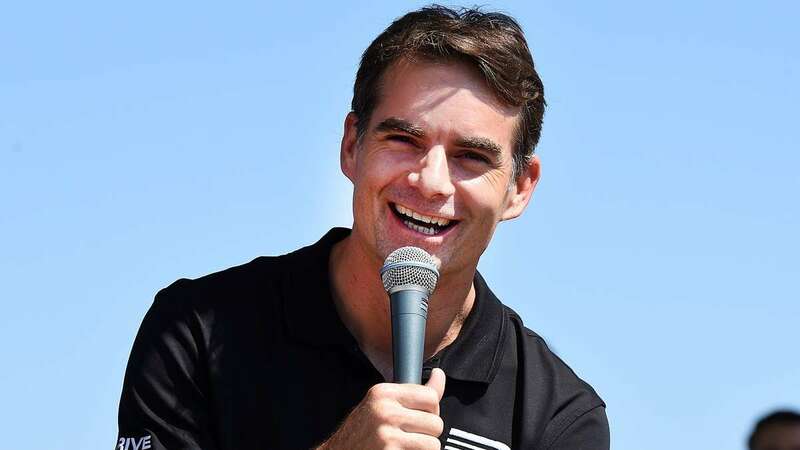 The four-time NASCAR champion was in Delaware to help promote the Sprint Cup race at Dover International Speedway next month. He also spent time at Dogfish Head Brewery sampling beers with brewery owner Sam Calagione. 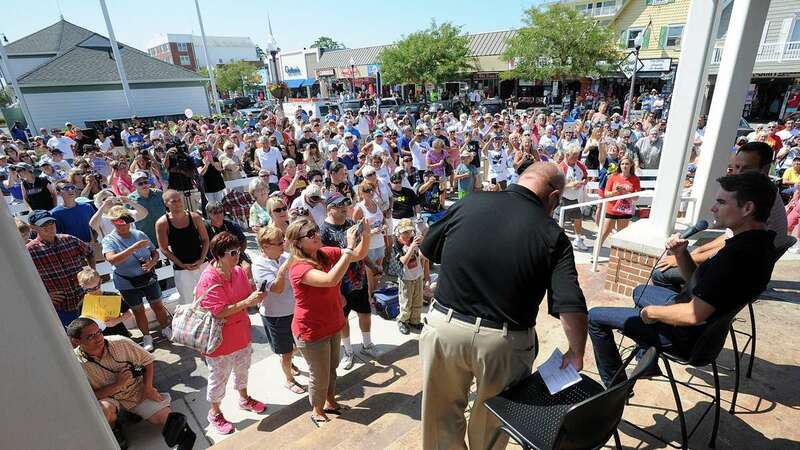 Calagione also joined Gordon at the Rehoboth bandstand for the forum with fans. 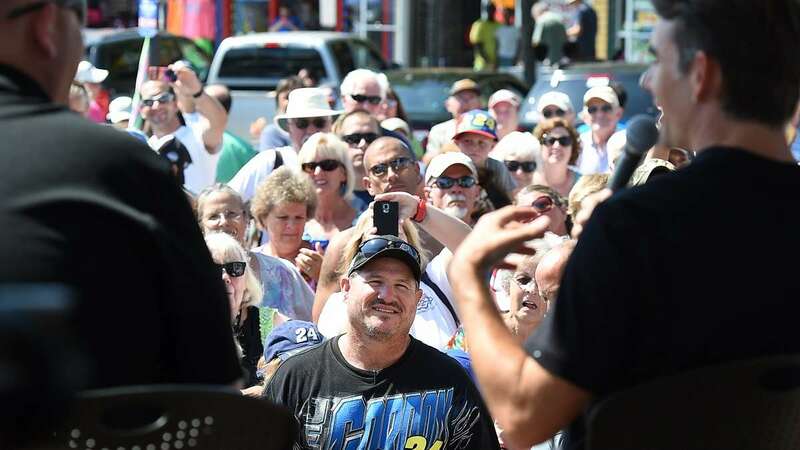 More than 1,000 fans turned out to see the conversation with Gordon, which was moderated by Motor Racing Network’s Mike Bagley. 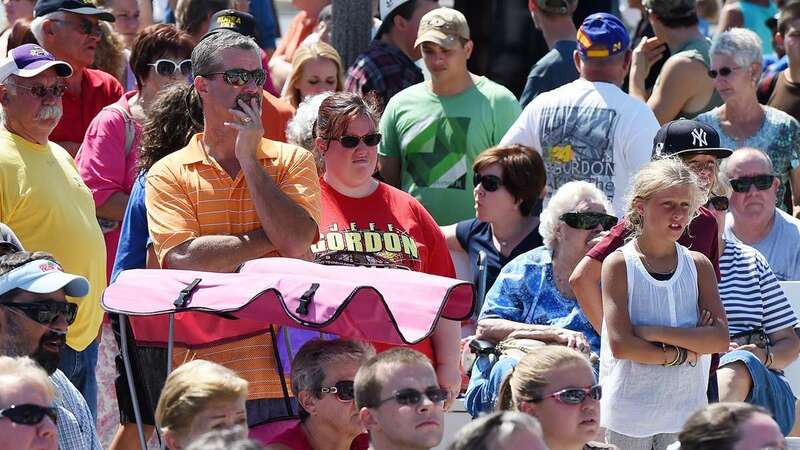 In years past, Gordon was a frequent visitor to the Wilmington area during race weeks, making appearances on behalf of DuPont, his former sponsor. 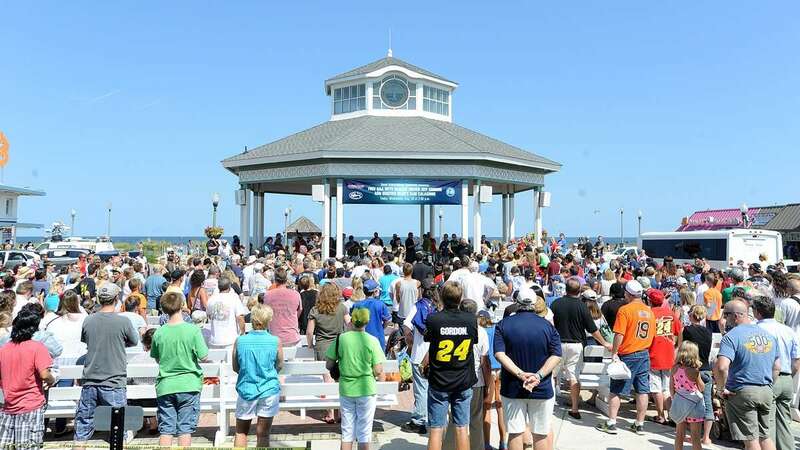 NASCAR’s top series comes to Dover on Sept. 29. That race has a higher profile than usual because it will be the first elimination race in the Chase for the Sprint Cup. This is the first year of the new elimination format of NASCAR’s playoff system.